Heavy duty pack saddle britchen, made out of 12/14 oz. oiled harness leather. 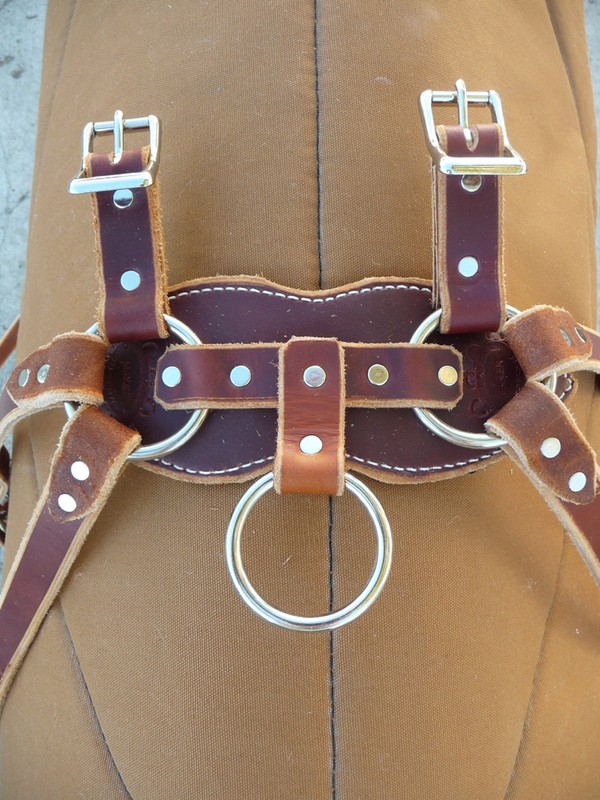 The straps are 1 inch wide and have roller buckles with buckle covers. The britchen is fully lined with soft chap leather and measures 2 1/2" wide x 47" long (w/o the 3" ring at the ends). It comes with a total of 4 x Quarter Straps. 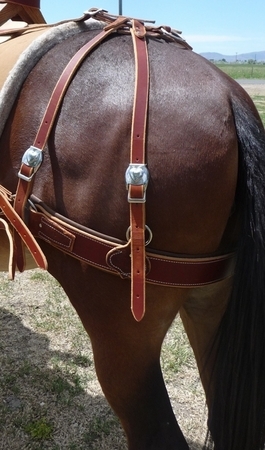 It does include the bud plate but no leather straps going from the bud plate to the pack saddle tree. If you need any modifications, please contact us by phone.